Spectacular Jewelry Events For Over 50 Years! Visit America's Longest Running, Direct-To-Consumer Jewelry Shows For The Largest Selection At The Lowest Prices! Shop Directly From Wholesalers, Manufacturers & Designers In A Marketplace Setting. Get Notifications When We're Near You! Sign-Up For E-mail Notifications Below Or Download The App. Save 25% Off Tickets When You Buy Your Tickets Online! Imagine rows and rows of booths where vendors display and sell their quality merchandise. This competitive atmosphere drives prices down to rock-bottom levels. Forget retail - shop directly from wholesalers and manufacturers for the largest selection at the lowest prices! Interested In Exhibiting With InterGem, Inc.? Wondering How To Register As A Wholesale Buyer? Learn More Below. Interested In Exhibiting? No Other Jewelry Show Offers As Many Markets And Price Points As InterGem, Inc. Exhibit With The Best In The Industry! 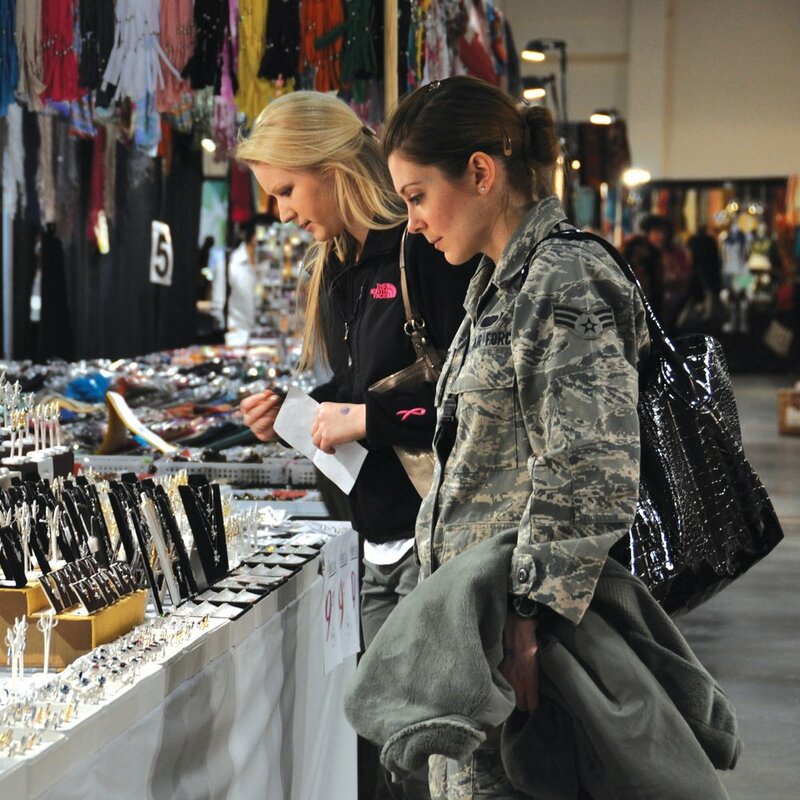 Are You A Licensed Business Owner And Interested In Shopping In Designated "Wholesale Only" Sections At Our Shows? Pre-registration Is Now Offered! All Active And Veteran Military Members, And Their Immediate Families, Receive FREE Admission To All InterGem Shows. Thank You For Your Service!